Dinner tonight was pretty much just a hodge-podge of whatever I felt like throwing in a pot. 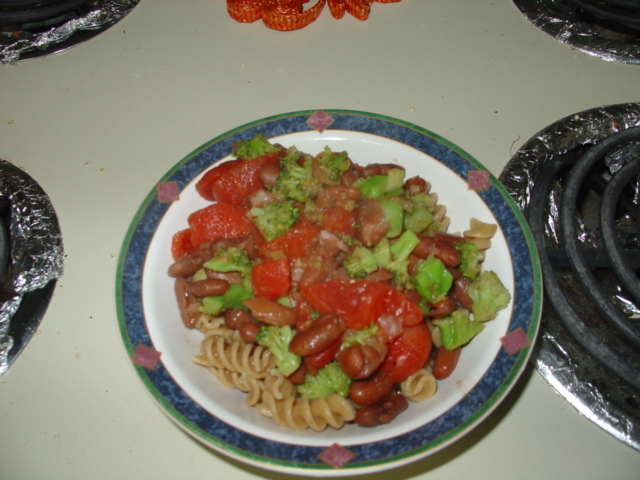 I decided to go with 3/4 cup kidney beans, 3/4 cup dry whole wheat pasta, 3/4 cup of the canned stewed tomatoes, 3/4 cup of frozen brocoli (added garlic powder). Pretty easy prep for this meal. Boiled the pasta for about 7 minutes. 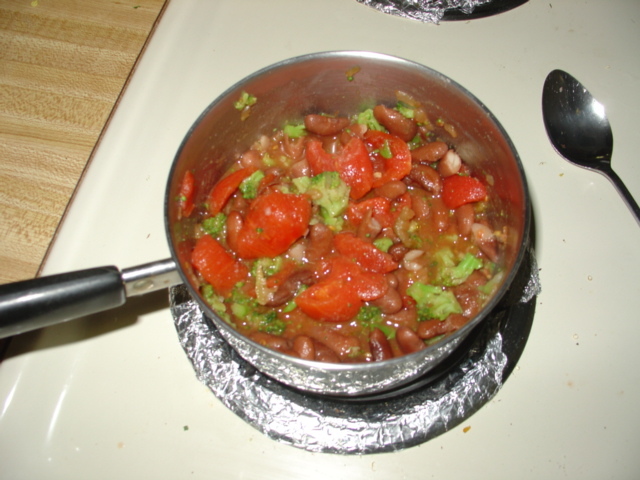 While this was going on I threw everything else in a small pot and heated it on medium-low for the same amount of time. This entry was posted in Cheap Eats, Nutrition, SNAP Challenge and tagged diet, food stamps, health, money, nutrition, SNAP, vegetables, wellness by Mike Gorski. Bookmark the permalink.